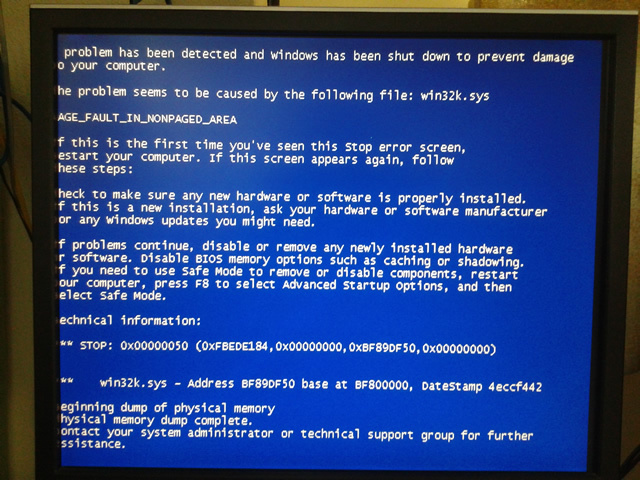 A most unwelcome blue screen of death just a month away from the anniversary it started acting up. Then I was dogged by such problems until I had the motherboard and hard disc replaced under Acer's extended warranty. The warranty has since expired. 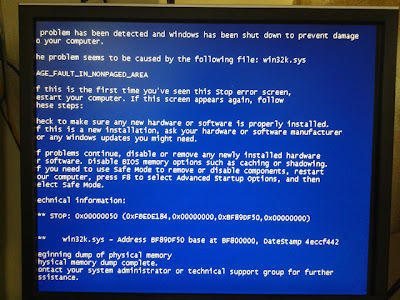 If this PC kaput again, will have to pay up for a replacement. No regrets. It has provided a good service for almost four years. Simple breakfast at Suntec City food court this morning after we had fetched the girls to different schools. Hasn't had rice cakes in years (80 cts each or three for $2). I had two pieces. Not bad. Expect a pretty supportive culture in addition to what I have learned about the JC history. SMS alerts arrive earlier than the JAE site at MOE (8am). She got her first choice. TJC would be the best fit for her. The culture is the most supportive among the top JCs given her needs. I have no practical idea how well her cohort had done until you see so many of them getting into TJC and VJC. They were the best in six years. At leisure, at a snail pace, I have finally succeeded at putting aside my iPod Touch and rely completely on my Android phone. A milestone in digital personal device use for me. Applestore still have much better apps overall but I hate the control freak architecture of their platform. With my tech background, I often want the flexibility of doing things my own way. Android allows that. This is especially true when I am managing files between systems. The pocket feel so much lighter and emptier now. 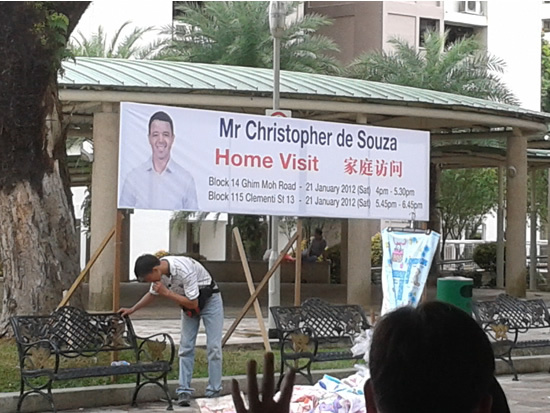 Where is Hougang MP Yaw? I don't know where MP Yaw had gone missing, but I can't help recalling an unforgettable story told us when I was a kid. Here is a small bit of it from Genesis in the Bible. Do you need the truth from the horse's mouth? Actions speak louder than words. The church is filled with both wheat and weeds, you can't tell them apart. That's life. Meanwhile I feel that ST is trying too hard not to appear to be on the PAP side. Hougang residents interviewed said Mr Yaw should come forward to clear the air on the allegations. However, most of the seven interviewed expressed support for their MP, saying his personal life does not matter as long as he continues to perform well as an MP. The MP is famed for having a good feel of the ground. There is no need to be scarce when your constituents are still supporting you. Read between the lines. I wouldn't bet on this but it is quite good material for learning how to evaluate sources for Social Studies in our Secondary schools. 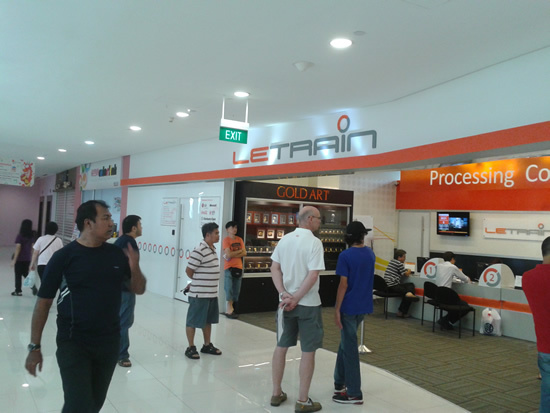 Yaw Shin Leong how long do you want to hide? You and your party which I was supporting look awful now. The longer the wait the worse you look. Voters are lucky to see you and the party getting tested with a scandal so soon. From the time a young Lee Kuan Yew jumped off the back of a truck carrying the rest to their deaths, Singapore has been unusually fortunate. Just learned from my nephew's facebook photo album that father and son had tried living like the homeless here. I didn't think they were serious when one if them talked about it during lunch recently. 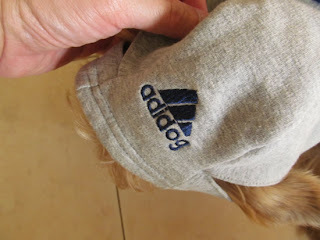 I think it is very good experience for the boy. When what others think of you don't matter, you will start to discover who you are. Few have the courage. Takes time. Just been informed that the final moment isn't far away. I pray that they will have a special moment with him good for now and eternity. No one escapes death. What is important is how we leave here. One of the best endings recorded in the Bible was when the person beside the Lord asked him, "Please remember me when you enter into Paradise". I am asking for no less. 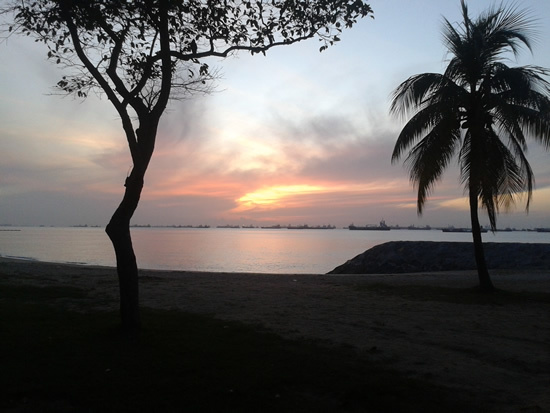 Took a drive early this morning to TJC and stopped by at the East Coast Park. Driving to that JC will be a daily affair if she gets accepted to that school. From our research that JC will fit her the best. I wonder what time school starts at the JC. When I passed there at 6:40 the place was totally dark. A "Bad Apple" in WP basket? Just got an email from my friend telling me that the newspapers will have a field day on WP Yaw Shin Leong tomorrow. However I discovered that TNP has already grabbed and run away with a story of his rumored affair with a married woman. Since I don't subscribe or buy TNP, I am not privy to the lurid details. Actually I find the occasional free articles from TNP in AsiaOne are often aggravating. My friend in his email pointed me to TRE which had published it as far back as Jan 20. Now if these allegations turned out to be true, then MP for Hougang should step down. He hasn't done anything illegal to be forced out but this is a grave moral trespass. There will be by elections and the WP will likely lose this seat to the PAP. If he refused to go, I hope Hougang residents would not accord him the respect of an MP, i.e., he becomes a lame duck. Alternatively I feel the WP should sack him. Sorry Mr. Low, you have to do better then keeping mum all this while or I believe Singaporeans will not support your party. In fact, the longer you keep mum the worse your party look. The party need to respond now. Remember Steve Tan who had dropped out of standing in Tampines GRC. That is the high standard to uphold. Last night I got an sms from my old friend that his dad will not last more than two weeks. That's what the palliative doc said to them. The last few times I saw Uncle James was in hospital. The silver cord could be severed sooner :-( May be even before the week runs out. The presentation is similar. I have been here many times already. The family is severely stressed, but I think they will hold up and eventually stand together. I have never gotten so many bad news in such a short span of time over the CNY. I think half of them are caused by an ageing population after discounting a friend viciously mugged up north and her young sister in law fighting terminal cancer. The last and only time I met Auntie Anna was more than 30 years ago. She passed away about two years ago. Mark and I were classmates in JC. She was a generous lady. She brought us for beef noodles at Cuppage Centre. I am trying to remember how we got there. It just wouldn't come back. We must have rode in her car or may be we took the bus and met her there. Supposedly she had worked near by. This is a pic of her last Christmas Day party on 25th December 2010. 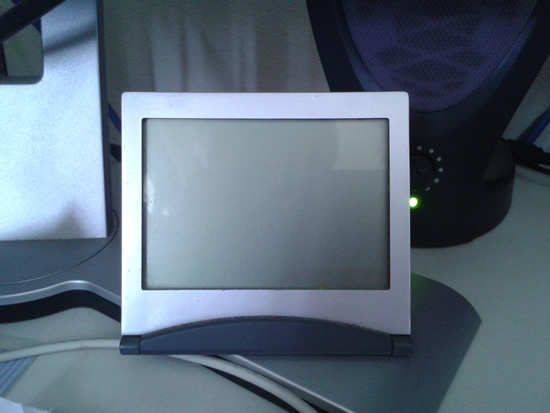 The display of this very old desk clock had been fading rapidly over the last week or so. This morning it completely faded away. Battery: CR2025. Got the Sony one and the shopkeeper warned me that there are imitation Maxell types in the market. They work but do not last. Full display contrast achieved with new the new battery. Question: How long would it last. When will I be back here to check? 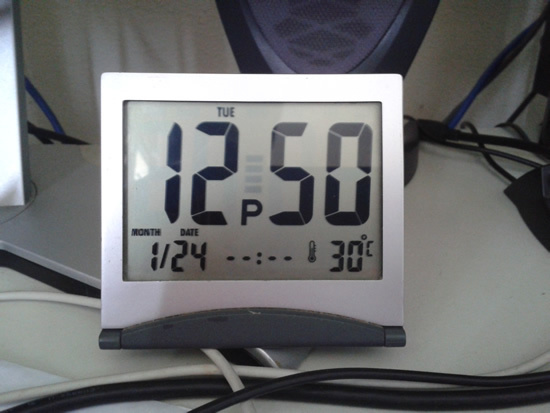 Warm day with aircon off. Took a walk this morning at the Labrador Nature and Coastal Walk. The weather was wonderful because the sun was behind the clouds and there was a gentle breeze. On the other hand the place wasn't giving out the vibes I like. Reminded me too much of Dubai especially when we had to walk around the marina. Much of the view had Bukom refinery, which I dislike visiting when I was with Shell. It just spoils the view. When you don't see the refinery, we have the RWS to fill the view. Again, I didn't like that. On the third face, is the vulgar looking Reflections condo complex by Keppel. I think the joy is in looking at the small things, especially the botanical delights and the cleaner parts of the shoreline. 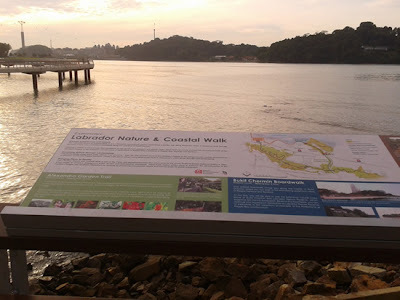 The architects were clever to place the info display facing Sentosa, avoiding RWS, Bukom and the Reflections. Too many bicycles and no bike lanes. In fact I think cycling is forbidden. A menace. Not too sweet, just nice. The gingkos were also perfect. I get this once a year when we visit wifey's eldest brother. I google this before deciding to blog about it. I was told you can't get it here. It can be purchased in Taiwan. There is a famous street where they sell all the pets stuff. Their eldest son had gotten it for them. After a break of two years, we finally were able to visit my grand uncle, grand aunt and aunt. Sadly the two elderly relations could no longer recognize us. Dementia had taken a heavy toll on them. Just as well they were spared the pain of the knowledge of my dad's passing. In normal times, especially when I visited them as a kid years back, I would be happy to get these humongous ang pows from them. They were never so big. Could it be a sign that they are fading fast? The amounts were downright embarrassing. 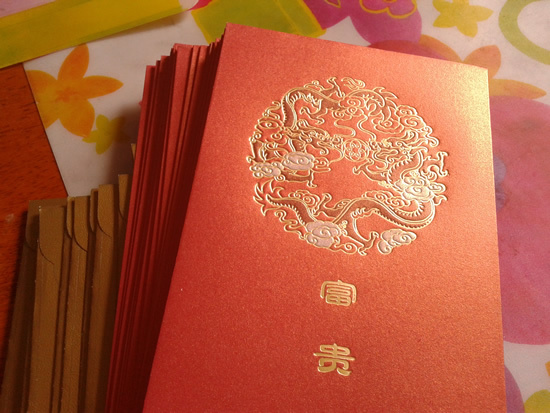 Stuffed so many hong paos this morning making it a point to use those printed with dragons as they would be inappropriate next year. And the ones for the girls because they like the cherry blossoms. 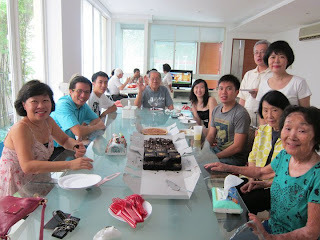 Reunion lunch today at NUSS Kent Ridge. As expected it was a godsend opportunity to grow revenue with Yusheng. A mid size plate is more than $50. 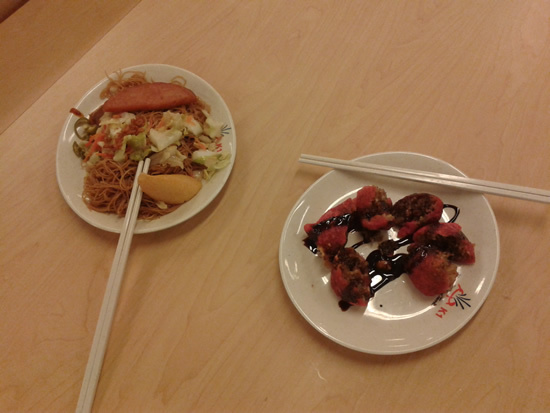 I think the one at Ichiban Sushi is very much better value. Happy Chinese New Year Everyone! And Enjoy your time with Your Family! Bound to forget unless it is also entered here. Let's not just remember her as Mrs.Goh. She has a name: Alice Woon. Exactly my sentiments. Overall I feel the debate over ministerial pay has been technical and tiresome. So much heat and little light. To the man in the street, it is very simple. Pay for performance but with some extreme consequences. If you do well, no pay is too much. If you do badly, even $1 is too much, i.e., you deserve the boot and some might even add punishment. It seems to me ancient military law is wished here because it often has huge consequences on the people. Indranee Rajah comment on the spirit of paying ministers was most apt. Taken over the long term, I still bought WP's position. As for the PAP, they are bullies as usual. They might be able to keep their supporters but they are not winning the ones they have lost. To do that, you need the opposition to shoot themselves in their foot. There is no other way other than giving them rope to hang themselves. I see the ST being arm twisted to write their columns in favor of the PAP this morning. Look, you can bluff some people all the time, but not everyone all the time. I can see through their spin easily. Voters want to see gentlemen and ladies in politics. To be realistic this is impossible, but we want to see politicians keep trying to raise the standards of behavior first followed by debate. The replacement Explorer Touch Mouse Microsoft promised to send has arrived. Took them less than the promised 21 days. One last look at the old mouse before it goes into the trash. Got a rude shock early this morning when the doors to the elevator opened. In loud red, "O$P$ 12-277". I haven't seen this in the many years we were living here. We were used to them marking walls when we were living in a 3-room flat after we got married. My immediate neighbor had attracted a lot of such unsavory attention, but they were never violent like setting the door on fire or even targeting innocent neighbors. In these bad new era, I wonder where this will lead to. I have taken a picture of the graffiti and plan to inform the Police about this. I am afraid this might only be the beginning. The household had quickly dispatched their maid to rub off all the O$P$. My guess is that they are too embarrassed to take this up with the authorities. I will have to discreetly show the picture to some of my neighbors. We must be proactive here. Update: A very unfortunate case of mistaken identity. Was given to understand that such mistakes are becoming quite common. 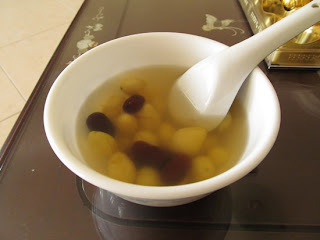 Rediscover this again while trying to stuff some hong paos for the CNY. With this blog entry, hope no more surprise next year. We want to keep these notes forever. Can't remember how we came to have and keep them. I guessed must be from hong paos from many years passed. 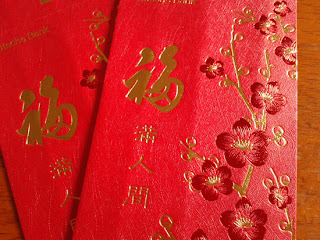 This year wifey brought back a whole bag of red packets to use. That's what happen when you have relationships with so many banks. I never forgot Kodak advertisement featuring this song by Paul Anka when I was a kid. Absolutely on the mark when I look at the films and photos of all our significant moments. Even when we have moved on to digital cameras with Canon, "Delighting You Always" we still tell each other that this is a "Kodak Moment". Well Kodak has entered Chapter 11 but memories live forever. A friend we got to know while we were living in Dubai recently went up the Burj Khalifa and took this pic. It shows the Dusit Thani. 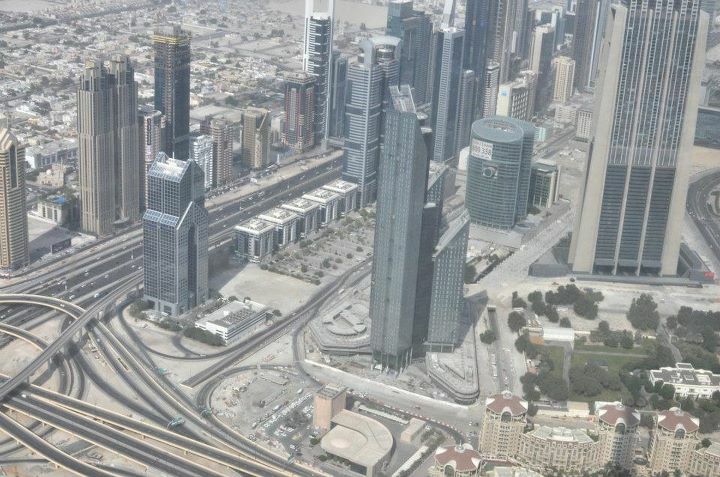 We occupied a suite in that hotel on our first visit to Dubai. Its surroundings is still as desolate looking as before. I don't care for the place. It is people that mattered. Timing untimely visits must be a hallmark of this MP. I was buying nasi lemak when I noticed this and snapped a photo. According to my former classmate a grassroots volunteer, this chap often choose the strangest times to visit his constituents at their homes. Again I bet he cannot get his Chinese volunteers to come along. Chinese families busy with preparing for CNY would certainly also prefer him to have picked another day. Being insensitive, so typical of many MPs. If counselors were like them, they would have lost their jobs long ago. Of course, I was thinking of the MPS. Everyone ought to read this excellent speech given by Ho Kwon Ping at the IPS seminar yesterday. It reads like a velvet glove punch in the face of the failure of this 'extraordinarily able' government. Actually it doesn't so much reflect the government capabilities are where their heart is and the embarrassing value system they were hiding. That's why their speeches and pronouncements often sound so hollow and hypocritical. Many can sense it even if they can't articulate it. 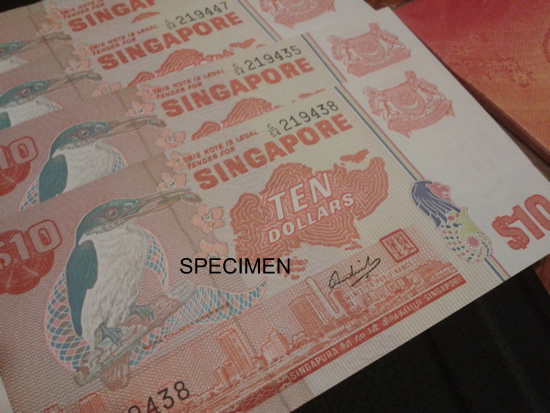 Most articulated visions of Singapore deal with things like education, the arts, or even political governance. They usually do not deal with work relations, which actually are at the heart of a society's ethos and culture because work relations define how we treat each other. At the core of Japanese society are its unique values regarding self-reliance and respect towards work. Similar values, although manifested differently, also are at the core of Scandinavian or German culture. In Singapore there is no such consensus. The supposed social compact between the Government and its people must be underpinned by a consensus about the nature of Singapore society itself. What is the benefit of more participatory politics if we have a society so hypocritical that citizens complain of poor service and how young Singaporeans are too soft to work in service industries, but in the same breath complain if costs rise because of higher wages? Or a society where a private housing estate raises a huge ruckus because a foreign workers' dormitory will be built in the same neighbourhood, as if it were a leper colony? Any paradigm shift towards a more egalitarian and self-reliant society as in Japan and Scandinavia will require a paradigm shift. And this can happen only if there is a collective consensus which is at the heart of political exchange. And in that exchange, informed debate will be necessary, or else xenophobia and other crude and emotionally charged issues will obscure rationality. There is too much to read on the ongoing debate on Ministers' Pay. If doctors, lawyers, accountants etc., the highly skilled class of professionals were badly paid we wouldn't have enough of them for our needs. We like to idealized doctors, teachers and religious leaders, but often we are taken back to reality when they fail and not that infrequently these days. Our ideals keep us alive and assure our tomorrow; but to get there we need to get real too. We cannot have enough competent leaders. It is a problem even for the nations with abundant talent. In fact, we might even have to bring on board less than honest ones because of their special gifts. Once in the team, more senior leaders have to protect and ring fenced these weak but gifted members from temptation. Over time, I hope to see political salaries fall. Also private sector pay for top executives is a historical anomaly. That phase will pass. If we cannot broaden our bench of talent then our educational policies have failed us abysmally. Today pay is an important factor for attracting and retaining leaders. We are sorely lacking in idealism when political leaders must be motivated with huge performance bonuses. I am sure this will return to haunt them just as a bonus calculated on GDP growth had created a lopsided and unhappy situation of our people. Every society need some myths to keep it alive. We mustn't get too real or we become no better off than the animal kingdom. It is our idealism and holy grails that drives our evolution to adapt and become better. If we and we have been failing to invest in these, we shall disappear quite soon. Why condemn ourselves to Darwinian terms? You can't get more myopic than that. I remember LKY considered the SSO a waste of money but GKS had pushed hard for it. Personally I prefer the WP approach to paying ministers. The PAP one is deeply flawed and a danger to the survival of our society even beyond the medium term. It is cynical about the human resource we can produce and a slap in the face of what we have been doing in our school system. Today it is the thousands of good families in Singapore that is defending our old fashioned values against a mercantile and fretful government. If we have to bribe people to serve then we don't deserve to last. We must not throw overboard our values so easily in a storm, like siting two casinos here. Get rich quick schemes and quick fixes (think going overboard with FTs) don't last and minsters' bonuses tied to annual KPIs are simply being hypocritical about working for the long term. You can pay the ministers anyway you want but if they are perceived to enjoy the upside and never the downside, this whole compact will fall apart. So for the sake of our future, I hope this would not be the last pay review exercise. 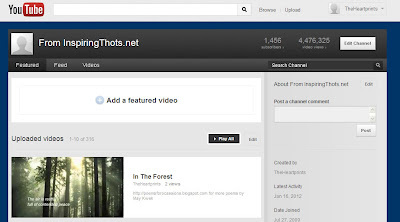 So many video views? I must be sleeping. to not know about it. 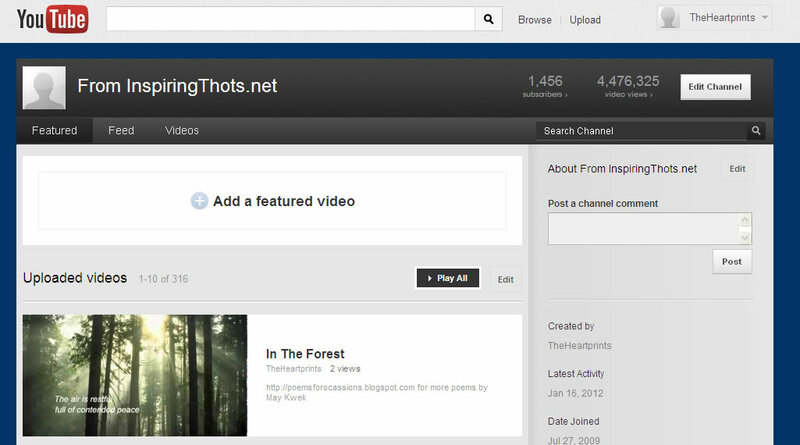 I haven't look at this since I created this YouTube channel for my converted flash movies into short clips. Such analytics weren't even available back then. I hope it is helpful to visitors. The mission of the site is to help people leave heartprints on each other. Just got this in the mail. Consistent with an earlier post, "Forget about Christianity". Religion, especially Christianity is something that gets recreated again and again each time it is destroyed. The movement to return it to its roots has begun again. This is our new 42" LG Smart TV. Model LV3730. Cost us $929 inclusive of $30 delivery charge. Now I must find the time to install the wifi dongle to enable connection to the Internet. My girls came from a top primary school. They had many schoolmates who went to The Learning Lab. All of them come from well to do family. Would be good if The Learning Lab mature to awarding free or low cost places for less privileged families even if I am skeptical that it would work. These fortunate kids are nurtured from as young as they were born. If you come out in a different womb in the ovarian lottery, which most are, you are just not in the game. A friend living in the suburbs of Vancouver sent me this last night. I had seen it before but am glad to have it again. Forget about Christianity. This man is it! have not affected the life of man on the earth as much as that ONE SOLITARY LIFE. Nothing is priceless in Singapore. The grand old dame Raffles has changed hands several times in the last few years. I wonder when is that day when the Istana and the Supreme Court can also be sold. "Know the price of everything but the value of nothing"
If possible, I do not wish to ever go to Verge along Serangoon Road again. 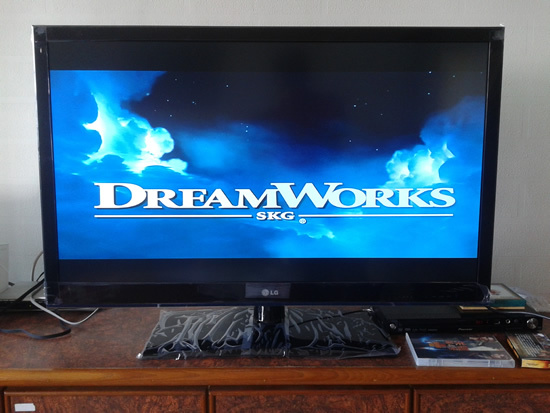 We bought a Smart TV last night from Harvey Norman. It will be delivered on Monday. Meanwhile we had to obtain the wifi dongle from their redemption centre. We picked the wrong day to do it. The traffic was awful all along Bukit Timah and Serangoon Road. I think I am going to buy my own dongle, but it was a test of patience trying to get the specs from LG. I hate these redemption centres. The last time I had to redeem something from Asus, we had to wait for hours. It was as bad as waiting for the doc at the specialists' clinics. Furthermore they insist on having the details of your IC before you can get the product. Singapore society hasn't learn how to protect their privacy. There will be a price to pay later. A friend suggested yesterday that I read this. Just like a principal might tell her students to study hard but not how, the head of the civil service Peter Ong had not gone beyond that. The service lost a golden opportunity. Not clever. They are good at studying problems but far less capable at coming up with solutions. We will have a difficult time ahead of us. I don't read any convictions or boldness anywhere. I thought I was reading someone from the ivory tower! Where is the gumption? Just downloaded and install blogget client using an Apk. This way I to not have to root the device. This is my first and test post using the Kindle Fire. Which JC? The choices have been submitted. Also only at the point of submission that we realized she came in the top 5% of cohort. Well in the prelims she was among the 14.5% with L1R5 less than 10. When the Os results came out the school had more than half achieving less than 10 points. Brutal prelims. Wonder if the A levels prelims would be as brutal. An old friend sent me this. 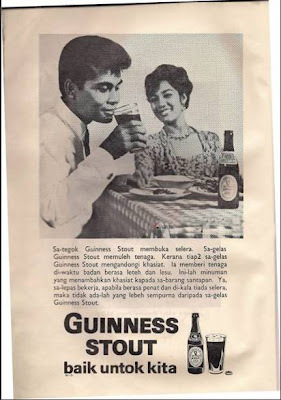 Advert with Malay actors drinking Guinness stout. Dated 1968. Unthinkable today. See how they have changed. LKY was right about the change. The Malay Muslims today explained that they didn't understand correctly what was required of them in Islam then. They do now. A poem by my daughter. This is only partially describing her dilemma. Students with her sort of grades almost always opt for JCs. She is trying as much as possible to include everyone facing this choice over the next few days. What should it be? What should it be? Which JC should I try? Or would Poly be better for this disposition of mine? Which JC should I put first? This is becoming an infernal curse! Should this be first or should it be last? Oh how I wish this would quickly pass! JC is my first choice Okay! Now which JC do I want? Which is closer to this score of mine? Goodness! This is an infernal chore I find! To get this thing over and done! 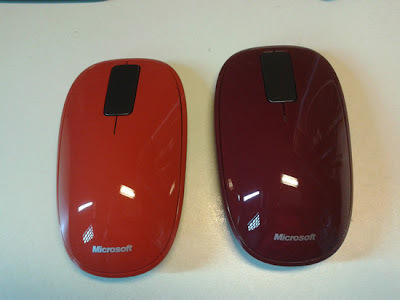 Lousy battery life for the Arc Touch Mouse. Good only for three months and considering that most nights I turned the mouse off. What if I hadn't? May be time to consider rechargeable eh? Many share the view of Richard Goh (see below). I agree with him and we have plenty of company. Nevertheless my concern are for the many who are still not aware of this fact of life. Others have chime in to say the same. My daughter thinks we are just scoring for the school. She isn't far off the mark. I think it was mutualism. Going to a good school had helped her to strike a more optimal balance between work and play. By running along with the better ones, you kinda of have an idea the results you would get. Had she been to a regular school, she would have to work harder since she wouldn't have enough peers to benchmark against. That strategy had paid off. We are not going to achieve excellence at all cost. Life is much more than studies and exams. I am glad more parents are far more informed now. This is good as an antidote to kiasuism but this is a very long journey given how rapidly the tuition industry is growing. Slideshow: Click to view photos. Sabrina Fernando-Briche OMG, O-levels!! it's a nothing exam in Europe! Richard Goh Chang Rui We were all once fooled into believing our lives would improve after this. Phan Anh Tuấn why so negative? Ian Zani Thank you O Levels.You made me realise there's so much better world out there. Md Firdhaus Well congratulations, there's still a long journey to go guys and gals, barely half the battle won..... still congratulations are in order. Theresa Pong I'm so happy for her.. She must hv worked hard for it.. No pain no gain. . Well done!! Tay Eng Huat The young ladies have improved in their grades, now dominating both PSLE and GCE 'O' level. Our young men must work hard from now. Well done ladies.